At 21 inches tall, it's shorter than both the Superman and Wonder Woman PF figures from this line, no big issues there really, but what's up with the higher price? I've already seen some pushback on this design from the online community... genuinely curious as to how well this will sell. Also, compared to Supes and Wonder Woman, he looks a bit too old, no? Though I'm sure some will prefer the term "battle-hardened". He looks better than the first one they did. 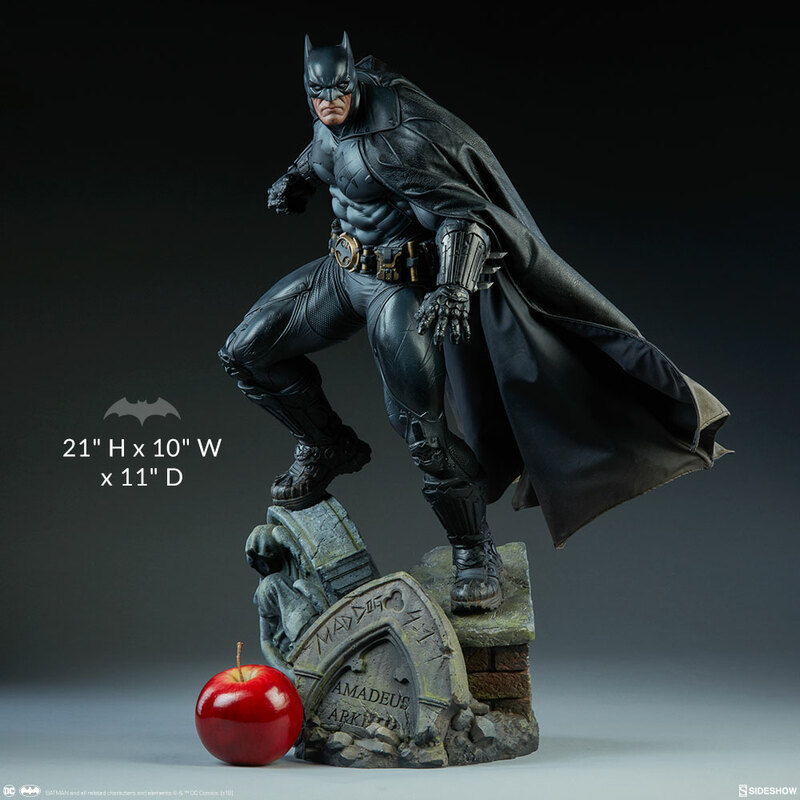 If I didn't put a downpayment for the Hush Batman by Prime 1, I would have gotten this one.